The deployment of peacekeepers throughout the Donbas may become a "promising initiative"
Special Representative of the US Department of State for Ukraine Kurt Volker stated that the deployment of peacekeepers only on the line of demarcation in the Donbas can further split Ukraine. Volker noted that the deployment of peacekeepers only on the line of delimitation, as proposed by the Russian Federation, will not provide security guarantees to the observers of the OSCE Special Monitoring Mission. "What Russia has proposed to the UN is a very narrow concept and it concerns only the presence of peacekeepers on the ceasefire line - it will actually divide Ukraine even more, which is unacceptable for anyone, the territory can not be restored in this way," he stated. Volker went on saying that if it would be possible to deploy peacekeepers throughout the occupied Donbas and provide for the non-use of heavy weapons, as well as establish control on the Ukrainian-Russian border, but on the part of Ukraine, "this would become a promising initiative." 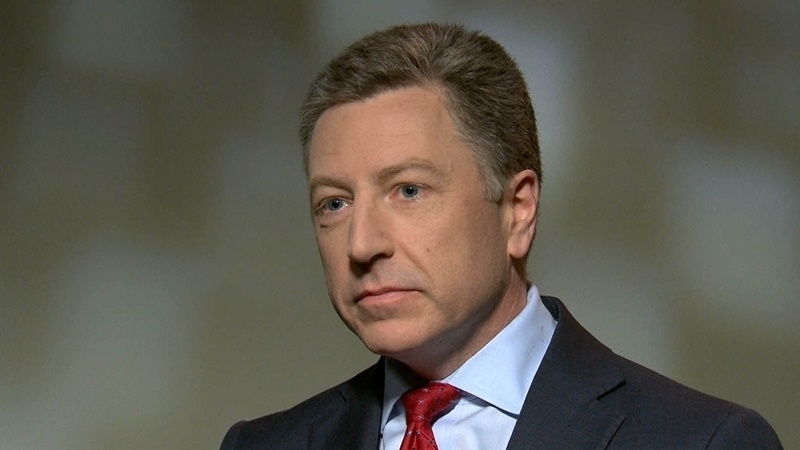 Earlier, Special Representative of the US State Department for Ukraine Kurt Volker stated that the US should provide Ukraine with protective systems. He came to this conclusion after his visit to the ATO zone. Earlier, he reported that Ukraine and Georgia are not ready to join the North Atlantic Alliance.